LONDON — Arsenal manager Arsene Wenger is hoping the high quality of competition in Europe will keep players from leaving for the financial gain in China. "The danger (is) that the Chinese offers become the benchmark for Europe," Wenger said Thursday. "You cannot compete with that, but I still think that, when you're a footballer, the first thing is that you want to play against the best players in the best teams." 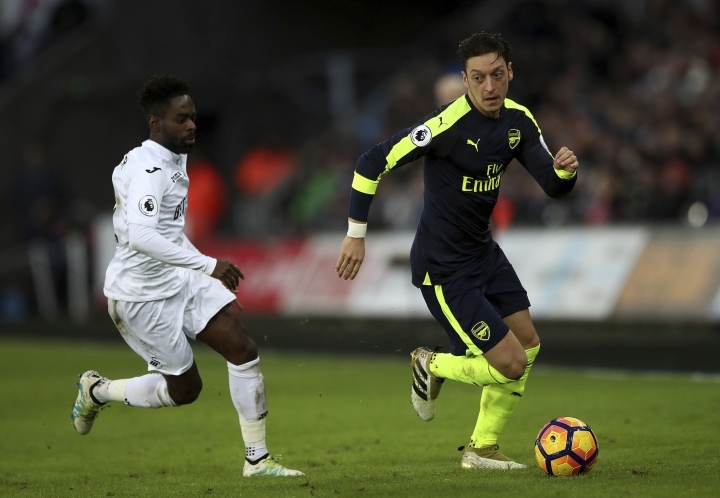 "I think that combination is the best in England at the moment, so I don't see why the players should leave the English Premier League," Wenger said. Mertesacker faces a fight to get back into the team because Shkodran Mustafi, an offseason signing from Valencia, has built a strong partrnership with vice captain Laurent Koscielny at the heart of Wenger's defense.